Lipoic Acid-CR, a potent oxidative stress blocker is a proprietary, orally active, controlled release formula. 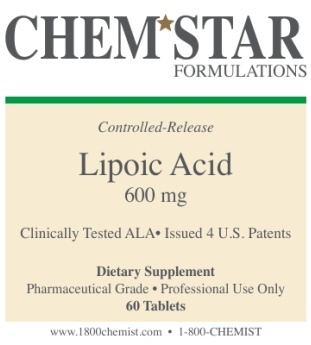 It shows inproved absorption and bioavailability over regular lipoic acid formulations. Important antioxidant involved in mitochondrial protection. 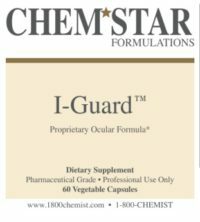 Protects against neurotoxicity, neurodegeneration, radiation injury, and may be useful in protection from diabetic neuropathies.